To report your sightings phone the Store at 250-390-3669 or e-mail us at thebackyard@shaw.ca Please remember, when reporting a sighting to leave your name and phone number along with the date the species and location of your sighting. The Sunday bird walk went to Neck Point Park in Nanaimo.. The morning was cloudy with a strong wind off the Strait of Georgia. We spotted several Double-crested Cormorants and Pelagic Cormorants flying over the Strait. Three female Surf Scoters were seen heading down the strait. 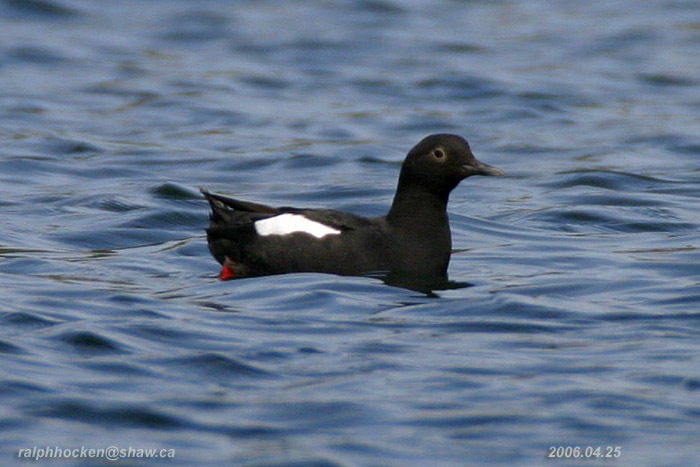 A Harlequin Duck was seen resting near Shack Island. We had great views of a Pigeon Guillemot just off shore. The Tuesday bird walk went the Plummer Road side of the Englishman River Estuary in Parksville. The morning was sunny with calm winds. 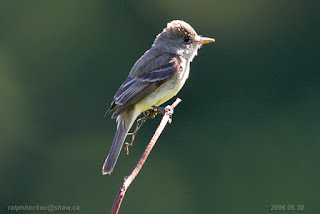 We heard and then saw a Willow Flycatcher perched at the top a tall bush. Bright yellow American Goldfinch dotted the bushes beside the river. Turkey Vultures and Bald Eagles were seen high over head during the walk. We spotted a Spotted Sandpiper perched on a rock near the river. A very large flock of Canada Geese were resting along the shore of the river. 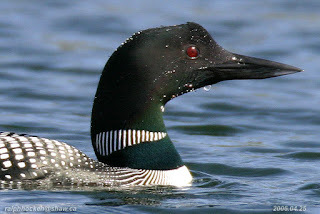 A Common Loon, a Marbled Murrelet and two Pigeon Guillemots were seen heading up the Strait of Georgia. 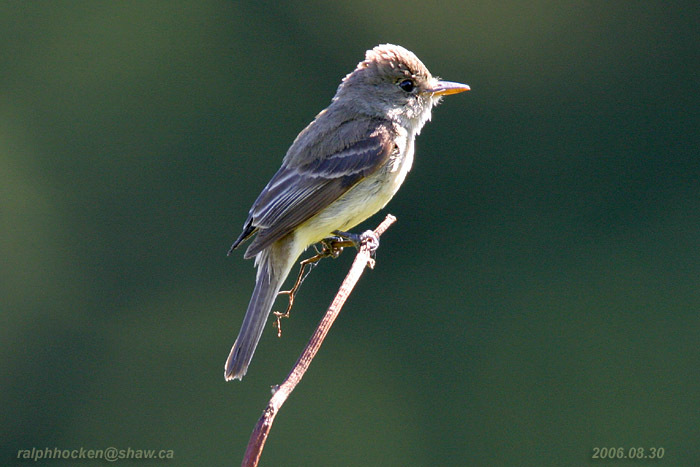 Swainson's Thrush, a Hammond’s Flycatcher and a Pacific-slope Flycatcher were heard singing on the walk. A flock of Band-tailed Pigeons, several Eurasian-collared Doves and a flock of Rock Pigeons flew over. A Mink entertained us as it ran along the shore line and swam just off shore, giving us great views! The Tuesday Bird Walk on June 26 , 2018 will be going to the Lot Ten in north Qualicum Beach. Meet at the Parksville Community Park (near the Lions Club playground parking lot) in Parksville at 9:00 am., or on the forest side of Highway 19a on Kinkade Road at about 9:20 a.m. This will be the last Tuesday Bird Walk until the fall. The Sunday Bird Walk on July 01, 2018 is cancelled due to the Canada Day Holiday! The Sunday Bird Walk on July 08, 2018 will be going to Hemer Provincial Park in Cedar. Meet at the Bird Store at 9:00 a.m. or at the Hemer Park parking lot at the end of Hemer Road (Take highway 19, south and exit left at Cedar Road follow Cedar Road to the bridge and turn right on Cedar Road and go to Hemer Road and turn left and go to the Park) meet at about 9: 30 a.m.